There are literally hundreds of ways to customize the environment of the Windows OS. With Windows 7, those possibilities have been increased. While there we could easily give you 30 different customizations that are useful, weâ€™ll narrow it down to our 5 favorite. So here they are. Iâ€™ve been somewhat of a neat freak when it comes to the desktop, and because Iâ€™m a photographer I hate to see icons marring the beauty of my desktop backgrounds. So I was more than happy when the ability to pin frequently used items to the taskbar was created. They say touch is the future, however, speech is the way for future.Â In a speech recognition software in Microsoft Windows 7 is one of the best free speech recognition software we have seen in a while.Â In fact, this entire sentence was written the software.Â Itâ€™s pretty accurate, and once he learns your voice it makes few mistakes. The tutorial is easy and shows you how to use the software quickly.Â The great thing about speech recognition and windows seven is that it not only provides text to speech capabilities of commands as well.Â You can use it to open up the start menu, creating a document, start a game, instead of message a friend, or just play around.Â It is truly one of the best features we have seen in Windows 7. So if you have not already speech recognition in Windows 7, I suggest you do so. Windows 7 Themes are more than cool, they are awesome. Theyâ€™re not something weâ€™d classify as useful, but they provide a nice way for you to have a desktop that appears to be stagnant. There are about 6-7 included themes (depending on computer manufacturer), and you can make your own themes. Basically a theme is a combination of backgrounds that change at a user specified time as well as a taskbar and windows colors to match the backgrounds. To change or create your own themes, right click on the desktop and choose the â€œPersonalizeâ€ option. Introduced in Windows Vista, Desktop Gadgets is something of a novelty. It has been on the Mac OS for ages and yet many people still hate them. However they can be useful. I always like to keep a CPU, battery and weather monitor on my desktop for quick reference. The big difference between Gadgets on Windows 7 and Vista is Windows 7 removes that pesky sidebar that would always want you to dock gadgets to. Also, Windows 7 has lessened the CPU usage of gadgets considerably, so they can run in the background without using too many resources. It is official people; you can now change the background of your logon screen. He feature is a new addition to Windows and was originally intended for OEMâ€™s, however users can do it as well. There are two ways to go about this. 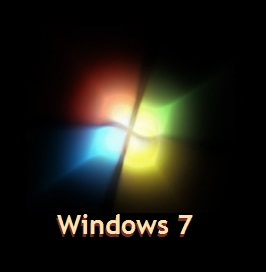 You can use a free program called â€œWindows 7 Logon Background Changer,â€ or you can do it manually. Manually will require messing with registry files and unless youâ€™re computer savvy, you might get yourself into a little pickle.